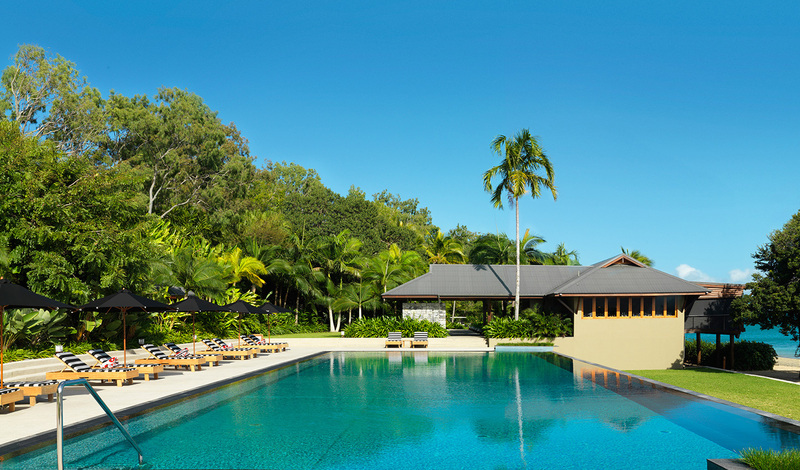 At the heart of the Great Barrier Reef, so close to the coast you can smell the sea, Qualia is a world-class luxury hotel in an island paradise setting. Set on the northern tip of Hamilton Island, in the southern Whitsundays, you won’t just get a room here, you’ll get a whole pavilion.In the two restaurants, chose to dine on the freshest of ingredients dressed in your best, or nibble on a hearty snack in something more casual. And if you want to branch out, just hop on your personal golf buggy. That’s right, your very own buggy to discover the island’s incredible views and wildlife. 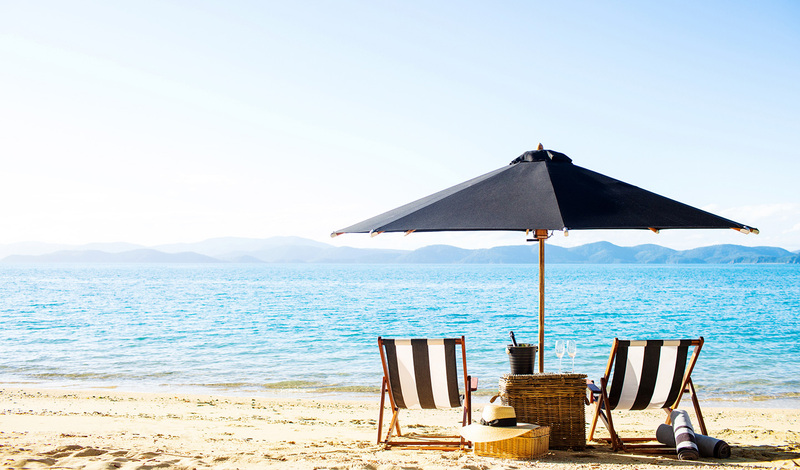 Nestled on the shores of the Whitsundays, your surroundings here will look like they’ve popped out of a postcard. We’re talking crystal clear waters, white sugar sand beaches, and of course the most famous coral reef in the world. Your north-facing Windward Pavillion has huge windows so that you can really take in the expansive views of the Coral Sea and Whitsundays. Sink into a sofa in your living room, or soak in your private plunge pool overlooking the white sandy beach. Total perfection. A cool ocean breeze, clear warm waters and your expansive room not enough to get you relaxed? We can’t imagine that’s true, but panic not: there’s more. How about some open-air yoga, a meditation session, or an indulgent body wrap experience at a traditional Li’Tiya spa? Any tiny knot or worry you had before will dissolve, trust us, these guys are experts.